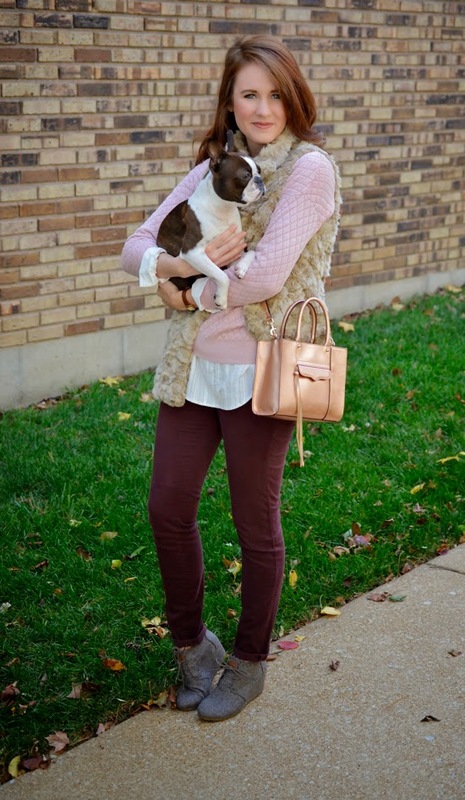 This is what I wore over the weekend to meet up with fellow St. Louis fashion blogger, Carylee from More Pieces of Me. I always get a little antsy meeting new people, especially ones who "know" my online persona (what if I seem totally different in person?!). So, of course I thoroughly over-thought my outfit, brainstormed things to talk about in case awkward silence ensued, and read the entire menu of the cafe we were lunching at so I wouldn't take too long to order. Don't judge. Well, I had very little cause to worry; we had plenty to chat about. We filled an entire lunch and another four hours of shopping with conversation, and were both still gushing with things to talk about when we finally parted ways to see our likely starving husbands. 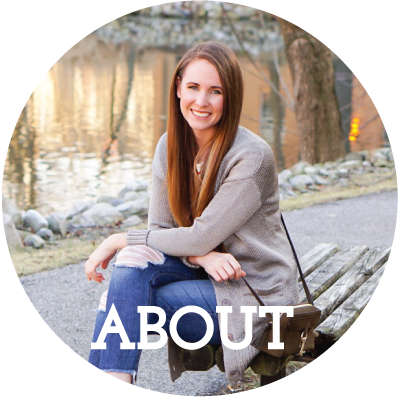 Carylee was even more stylish, charming, and sweet than her online persona (and she has the cutest freckles ever in case you were wondering). both of you are stunning! love your bag! I love the light pink sweater with those burgundy pants! And great little boots. So fun!! I love that you got to meet up! 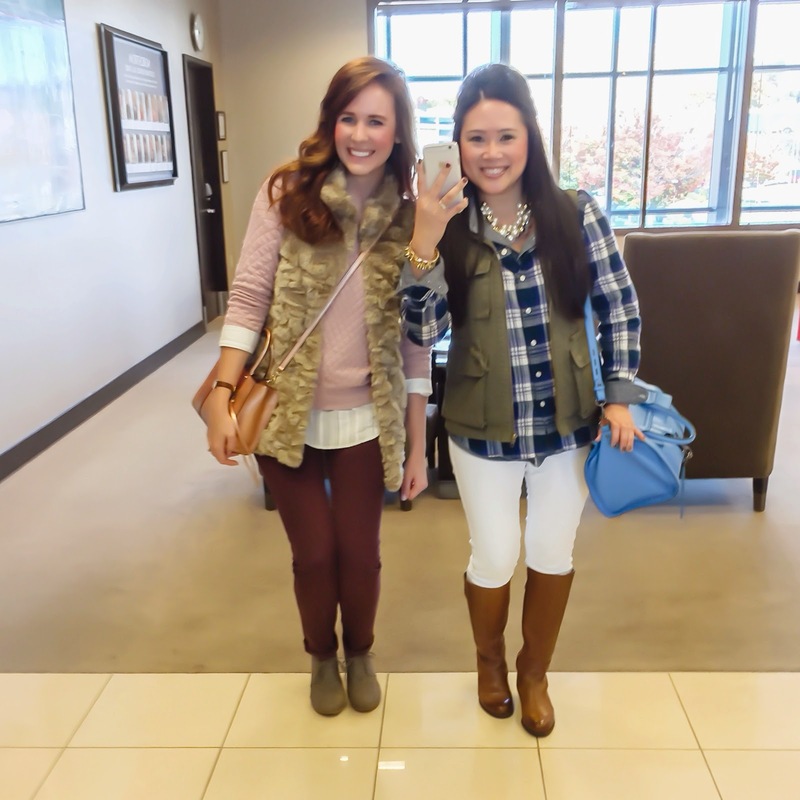 I love blogger shopping trips! They are the best, since we are all such enablers, haha. 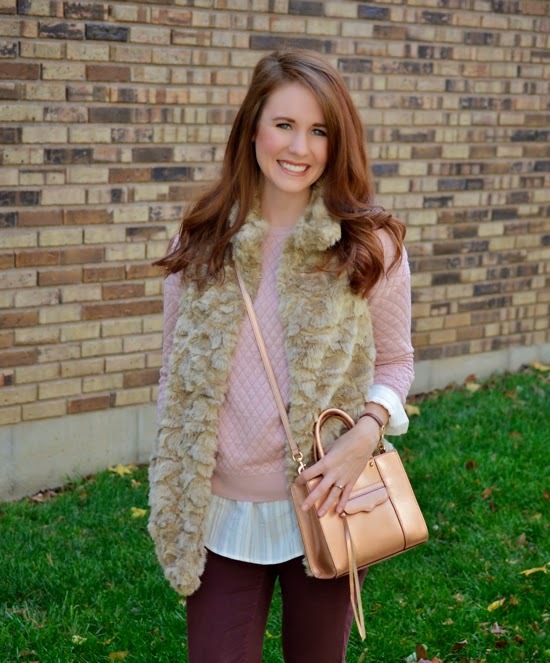 You look adorable with your pastels and fur vest, and I love your metallic bag!